By Hazel Chua on 06/10/14 • Leave a comment! Everything you put into your body eventually comes out on the other end. If it’s bad to begin with, then you can expect it to be a wee bit worse by the time it passes through your digestive tract. An app that checks out the nutritional value of food by way of “fart power” is the Fart Code app. Once it’s all fired up, just use your phone to scan the code on your processed food of choice. 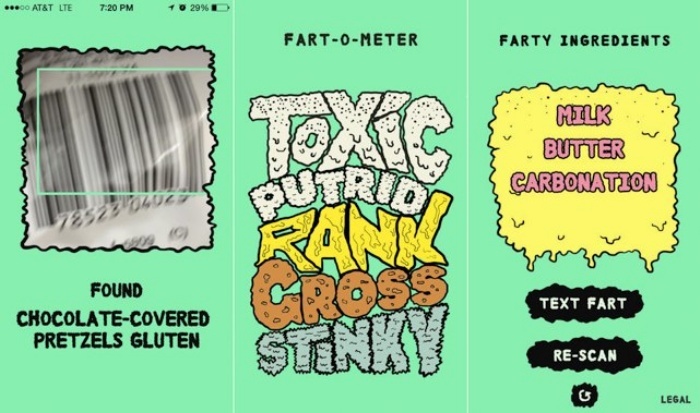 The app checks out the food’s individual ingredients and uses an algorithm to determine how toxic a fart would be, based on those ingredients. 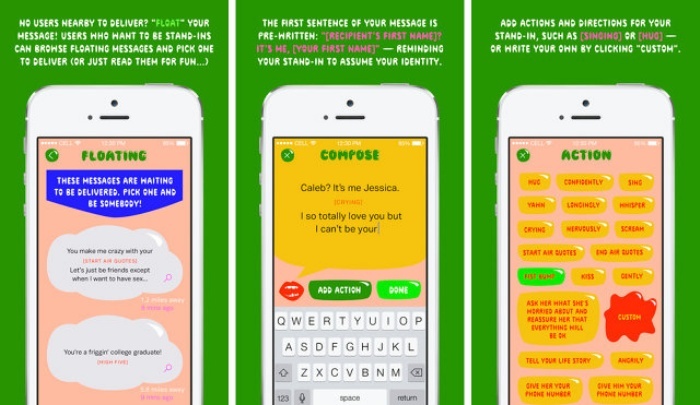 Fart Code is available for iOS and you can download it for free here. Your doctor might’ve advised against holding your pee in, but that’s probably something you’d rather do than rush off to the bathroom in the middle of a particularly good movie. So here’s something that can spare you from unnecessary grief and save your bladder in the process: the RunPee app. It’s basically a database that lets you know which parts of the movie you can miss without actually missing substantial action. The RunPee tagline says it all: Because movie theaters don’t have pause buttons. The RunPee app will give you a list of 1-to-4 moments in each movie when you can run and pee. We also let you know if there is anything during or after the end credits that you should stick around for. You might stumble across some spoilers along the way, so tap carefully. The app is available for iPhone, Android and Windows phones for $0.99. By Hazel Chua on 04/17/14 • Leave a comment! Counting calories involves a lot more work than you think. From keeping food diaries that you have to update with every meal and snack to looking up alternatives in case what you just ate isn’t on the list, calorie counting can be a pain. The good news is that there’s an app that’s currently in the works that makes it easier for weight watchers and health buffs. 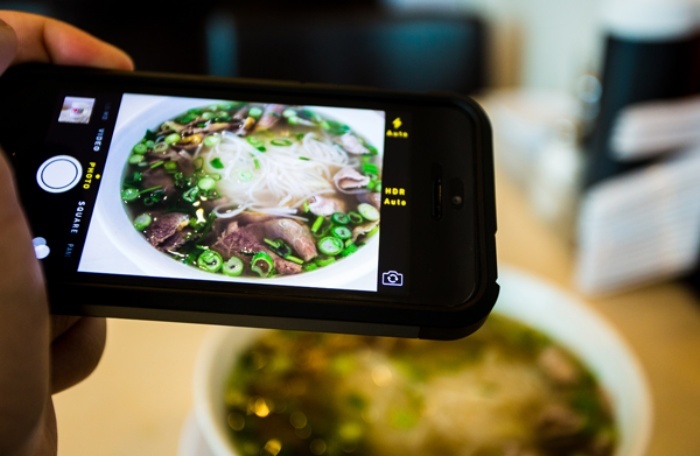 The project is called Ceres, and it’s basically an app that lets users count calories by having them take pictures of their food. The actual counting is up to the app. Want to know what kind of person someone is? Just look at his friends, what he eats, what he wears, how he treats others, what he spends his money on–and how he packs. For example, if he just throws stuff in at the last minute, then you can probably say he’s a reckless (and perhaps adventurous) type of guy. If he makes extensive lists and packs several days before his trip, then you can say he’s a neat and orderly guy who likes being organized. 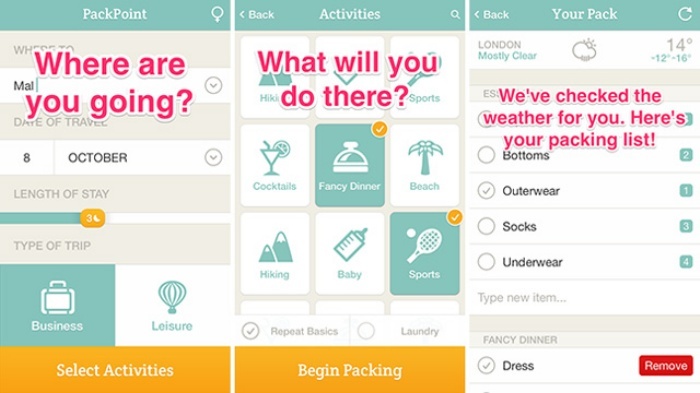 Whichever type of person or packer you are, there’s an app called PackPoint that can help you out. 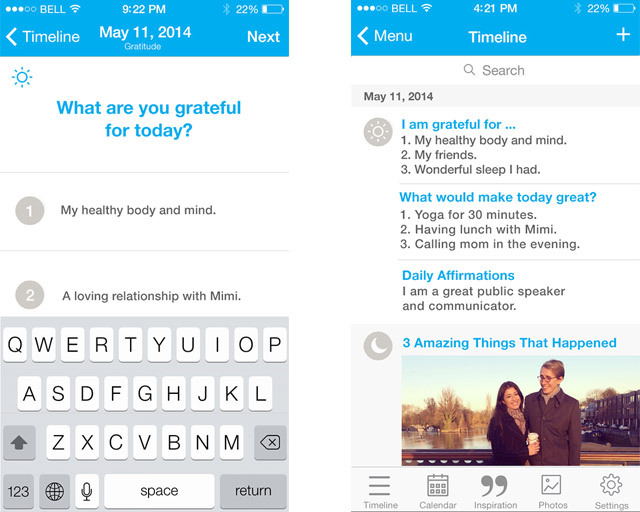 It’s an app that lets people share their innermost thoughts and read other people’s secrets, too. What makes it different from other apps is the fact that only people in that person’s list of contacts can see the secret. 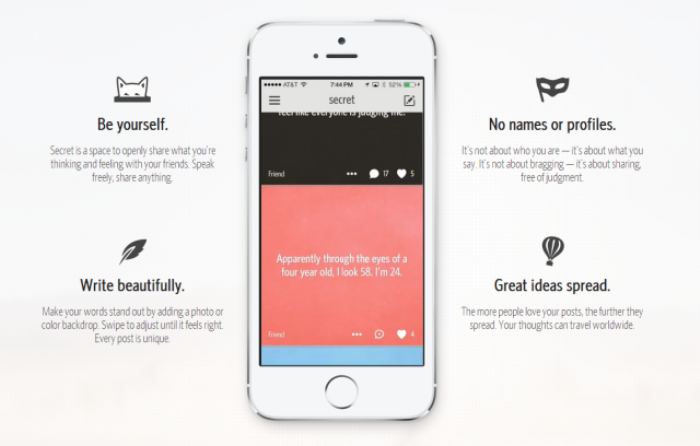 Your secrets are delivered anonymously to the people in your Contacts who are on Secret. They can view, love and comment on your post. When friends love your secret, it will be shared to their friends. If they love the post, it can reach even further. When your secret travels beyond two degrees, it will be marked with your general location, like “California”. People beyond two degrees will be able to love your post or comments, but won’t be able to add comments to the conversation. While it’s anonymous in the sense that it won’t reveal your name or identity, you might want to be careful about revealing too much details because some people in your address book might figure it out and realize that it’s you. 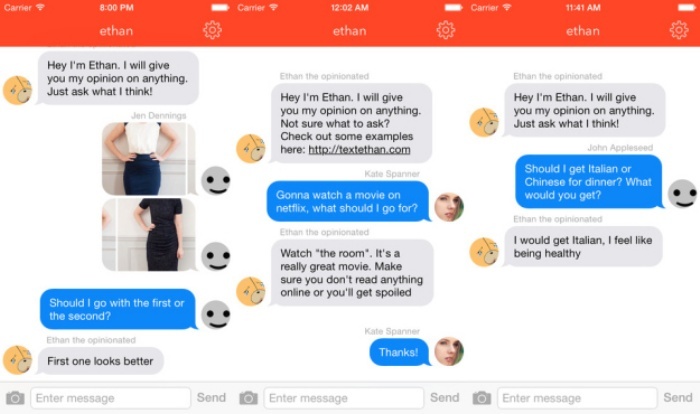 You can check the app out here.